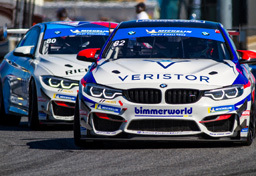 Breaking into the professional ranks of any sport is a pressure-packed endeavor, and for a young driver like BimmerWorld Racing’s John Capestro-DuBets, the need to deliver a strong performance in his first pro race was critical. Thankfully, the 21-year-old Californian not only performed well in his professional debut at the GRAND-AM 200, he completed a dream weekend by standing on the famed podium at the historic Daytona International Raceway. After earning a third-place finish in the grueling 2.5-hour Continental Tire Sports Car Challenge season opener with his teammate, veteran driver Gregory Liefooghe, the pilots of the No. 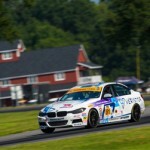 81 BimmerWorld BMW E90 celebrated a top-3 result to open their account on the 2011 season. Starting seventh, Capestro-DuBets, known as ‘JCD’ to his teammates, looked poised within the 77-car field during his turn at the wheel. Handing off the car to Liefooghe, the duo raced their way to third to start the year in spectacular fashion. 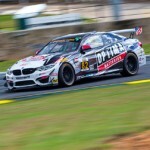 Liefooghe, like JCD, made his debut with the BimmerWorld team at Daytona. Based on the first race, the 29-year-old says he’s highly encouraged with what the No. 81 BimmerWorld BMW program can achieve. James Clay, owner of the BimmerWorld team, says he’s glad to see the ST drivers working together so closely. 2010 GRAND-AM MESCO Rookie of the Year winner Bill Heumann, and two-time 2010 Street Tuner pole winner David White had a more challenging start to the new season in their No. 80 BimmerWorld BMW E90. An impressive run from their 22nd starting spot to 12th aside, the duo expected more from the first race of the season but a penalty dropped the No. 80 to the back of the field, ending their chance of running in tandem with the sister No. 80 BMW. White, who took over for Heumann to complete the race in the BimmerWorld E90, says they will treat the next round, held at the Homestead-Miami Speedway in Homestead, FL, like it’s the first race of the year. 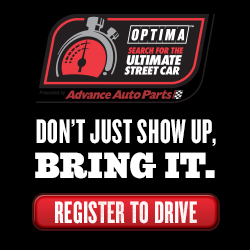 Tune into SPEED on February 5th at 3 p.m. 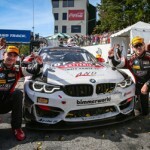 ET to watch the race broadcast, and follow BimmerWorld’s progress as they ready themselves for Homestead-Miami by visiting www.BimmerWorldRacing.com.